Shahin Shojaeyan moves all in with King_Jack against the Ace_Three of the shorter-stacked Glenn Larson. 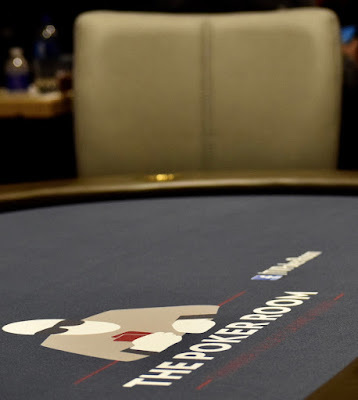 Larson hits a 3 to secure a double, then Shojaeyan gets the last of his chips in with King_Seven only to run in to the King_Nine of Wilton Alejandro, and Shojeayan's $1,100 Day ends about 35 from the money. Note, play may continue tonight once the money bubble bursts - if that happens fairly early in the night - TD discretion.